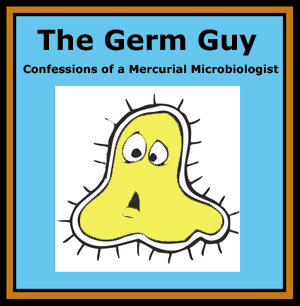 The Germ Guy is today’s microBEnet microbiology’s Blog of the Day. Blogs are taken from list of Microbiology Blogs we have curated at microBEnet. The germ guy blog is by Jason “Germ Guy” Tetro and it focuses on “A personal and unique look at germs, hygiene and staying healthy.” He is pretty active in media and social media (e.g., follow him on Twitter here). Most of his posts are at least peripherally connected to studies of microbiology of the built environment since they tend to be about hygeine and surfaces and cleaning and such. For example see Taking Hand Hygiene to the B-Movie Extreme and Flu Season is Here and the Germs are Spreading Fast! and Germs and the Office — my new post at HuffPost. This blog is part of the list of Microbiology Blogs we have curated at microBEnet.